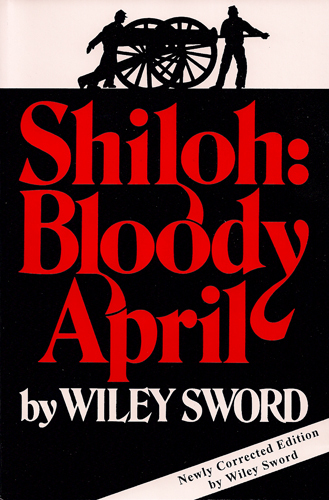 Editor’s Note: Today seemed to be an especially appropriate time to revisit and update the Top 7 Shiloh Books post I compiled back in 2009. In that post, Shiloh students at the Shiloh Discussion Group ranked their top 7 Shiloh books, with a first place vote garnering 7 points and a 7th place vote briging in just one point. The combined list is what I believe to be an excellent resource for those looking to further their knowledge of this famous and bloody battle. 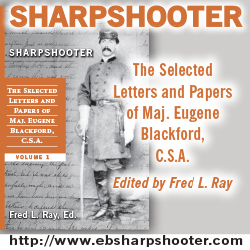 Similar lists of the Top Gettysburg Books and Best Antietam Books are also available. Following the highly successful experiment of having a group of Civil War bloggers choose their Top 10 Gettysburg Books, I wanted to try this method again with a slight twist. 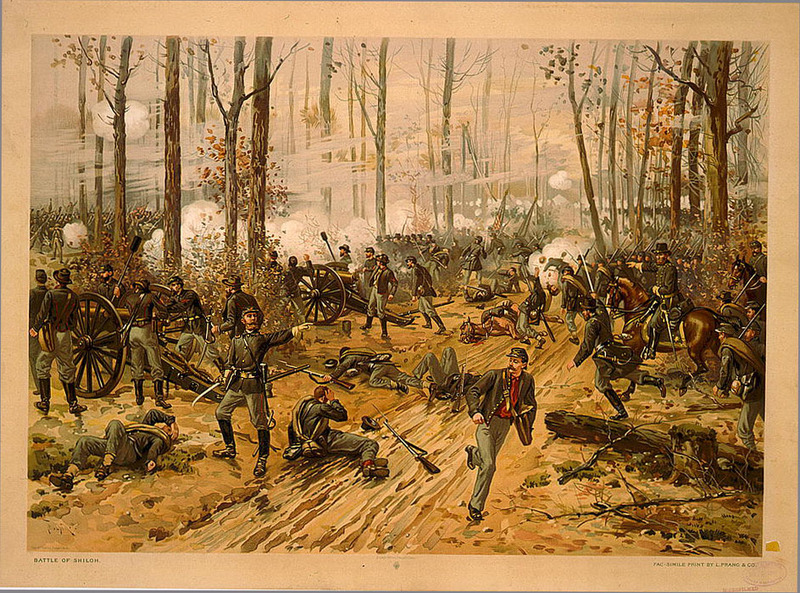 Rather than asking my fellow Civil War bloggers for their opinions, I went instead to the Shiloh Discussion Group. SDG founder and admin Percy “Wrap10” Cuskey posted the event’s details, and I followed up as this event pertains to TOCWOC in the same thread. Shiloh Discussion Group members had several weeks in July 2009 to post their own Top 7 Shiloh Books list in the specified thread. The deadline was August 1, 2009. 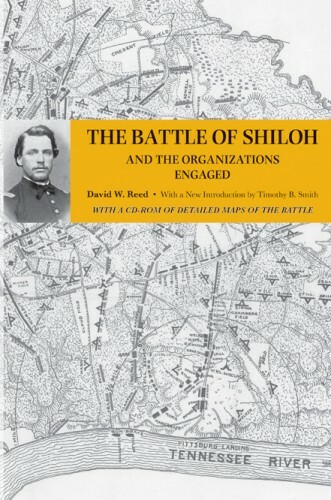 The rankings below take the combined Top 7 Shiloh books lists of Shiloh Discussion Group members who participated in ranking their favorite books on the Battle of Shiloh. A first place vote is worth seven points, while a seventh place vote is worth one point. 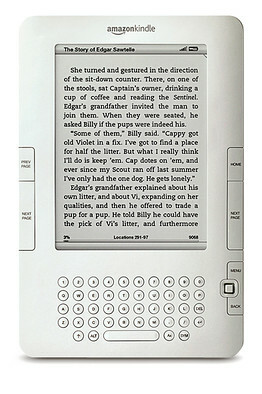 Some members listed less than seven books. In those cases a first place vote is still worth seven points, with each successive vote being worth one less point. In other cases voters did not have a specific order. Each book on those lists will be worth 4 points (7+6+5+4+3+2+1=28 total points awarded per list divided by 7 books in the list = 4 points per book). Group members who took part in this event are listed below along with links to each Top 7 list as it appeared on TOCWOC in early August 2009. As lists go live, SDG member names listed below will contain the link to each list. Kind of surprising (and a little sad) that Reed’s 110 year old book is in 4th place on this list. I’ll be curious to see in a few years where Winston Groom’s new book on the battle ranks. It saddens but does not surprise me that Grant’s memoir would be ranked so far down the list. It should be at the top because Grant was the one person who understood why “the battle” was important only because it consolidated the gains already made – i.e. pushing the Confederates out of western and central Tennessee. His memoir is still the only account that explains why Halleck’s determination to “recover” (sic) from the presumed disaster at Shiloh by advancing less than a mile a day drove Sherman nearly mad and pushed Grant himself to the point of almost quitting. The books don’t say it, but the truth is that there was no avoiding the bloody awfulness that comes from having inexperienced soldiers and unit commanders engage in a pitched battle at the same distances at which skirmishers usually met. Whether it is the Revolutionary Army at Brooklyn or both armies at Shiloh or Pershing’s men in France or Kasserine, the first large scale battle by American non-professional soldiers has always been a royal screw-up. Grant knew this would happen from his direct experience of watching the fate of the Volunteers in the Mexican War. He also knew that there was no way to avoid such a mess. That is why Grant, even as he pushed forward as hard as possible, always stayed within support of the gunboats. They were his one completely reliable reserve. After Shiloh, when the Army of the Tennessee was anything but green, he was able to cut loose from the support of the gunboats. What Grant and Sherman found intolerable is that the opportunity to push forward into Mississippi and Alabama after Shiloh was lost because of Halleck’s caution and the foolish notion that Americans could somehow have a civil war without killing each other in mass numbers. It was not an argument about personalities, as Sword suggests; it was the fury of professional soldiers at seeing an opportunity lost that had been paid for in unprecedented, if unavoidable, carnage.